Simon Peter is a fisherman on the Sea of Galilee when he meets Jesus. Peter’s brother, Andrew, first hears John the Baptist declare Jesus as “God’s Chosen One” (John 1:34). Andrew immediately runs to find Peter and tells him they have found the Messiah. Jesus then meets them on the shore and calls Peter to leave behind his fishing nets and follow him to “fish for people” (John 1:35 – 42; Luke 5:1 – 11). During his ministry, Jesus often travels with only Peter, James, and John. Because of this, Peter experiences many miracles. For example, Peter is present when Jesus raises a synagogue leader’s daughter from the dead (Luke 8:51 – 56). Peter is one of the few to witness Jesus speaking with Moses and Elijah. During this experience, Peter also hears God affirm that Jesus is his Son (Mark 9:2 – 7). In many instances, Peter acts as a courageous disciple. When the disciples see Jesus walking on the water and mistake him for a ghost, Peter has the boldness to come when Christ calls him. He begins to walk on the water, too (Matthew 14:22 – 31). When Jesus asks his disciples who they believe he is, Peter is the first to answer. He proclaims that Jesus is “the Messiah, the Son of the Living God” (Matthew 16:16). It is here that Jesus gives Simon the name Cephas (in Hebrew) or Peter (in Greek), meaning “rock” (Matthew 16:18). While Peter is a key leader in Jesus’ inner circle, he also has his struggles. For example, Peter debates with Jesus about whether the Messiah must suffer and die (Matthew 16:21 – 23). In addition, though Peter says he will never forsake Jesus, he denies Jesus three times after Jesus is arrested (Mark 14:27 – 31, 69 – 72). After Jesus dies and rises from the dead, he speaks with Peter. Though Peter feels great shame for denying Jesus, Jesus forgives him and reaffirms Peter’s calling to tend and feed God’s flock (John 21:15 – 19) before ascending to heaven. Later, Peter is with the other disciples on the day of Pentecost as the Holy Spirit is released. That day, Peter preaches a message that leads 3,000 people to follow Christ (Acts 2). Peter’s ministry is marked by miracles, including healings (Acts 3:1 – 10; 5:12 – 16; 9:32 – 35) and raising a girl from the dead (Acts 9:36 – 41). Peter is arrested twice for preaching about Jesus (Acts 4:1 – 4; 12:3 – 5) and is freed from his second imprisonment by an angel (Acts 12:3 – 19). 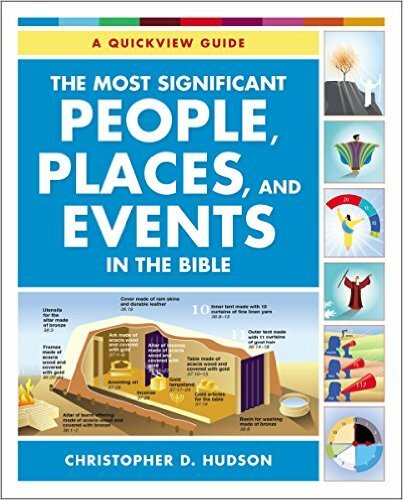 This blog post has been adapted from The Most Significant People, Places, and Events in the Bible. 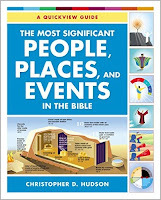 You can learn more about the book here.